Oldest, Family Owned Brevard County Bail Bond Agency. Call Us First For Help. At Tom Culbreth Bail Bonds, we’re the premier source for all of your Space Coast Bail Bonds needs. For private, professional, and fast service, you cannot beat our team. To learn more or arrange release, contact Tom Culbreth Bail Bonds for any city in Brevard County. Payment Plans Available! Tom Culbreth Bail Bonds is the oldest family owned bail bonds agency in Brevard County, Florida. We are your local source for all bail bonds, including bail bonds in other counties and states! We will gladly answer any questions you have regarding the bail bonds process, court dates and court procedure. We will be with you every step of the way through the judicial process as we know this can be a confusing time. Bail bondsmen secure the release of the accused by posting a bond and charging a small fee of 10% of the bound amount with a minimum of $100.00 for any bond of $1,000,000 or less. Without the assistance of a bail bondsman, a defendant or family member would be required to deposit with the jail the full amount of the bond for a defendant to be released. To learn more or request our services call our Cocoa, FL office 24 hours a day at 321-638-2245. A felony is a serious crime, the consequences of which can follow you for the rest of your life. When we provide a bail bond for a felony defendant, we always recommend hiring the best lawyer you can afford. Once released from pre-trial detention, you can use your freedom to plan a robust defense. FELONY BAIL Felony bail can cost thousands of dollars. Spare yourself a headache and hire our services for a stress free jail release. DRUG TRAFFICKING If arrested with a sufficient amount of drugs, or if caught in the act of selling or transporting drugs, you will receive a felony charge. WEAPON VIOLATIONS Carrying a concealed weapon without a license will net a felony, as will gun ownership by a convicted felon. GRAND THEFT Grand theft occurs when the amount of stolen goods exceeds a certain amount, or if the theft involved firearms or other selected goods. AGGRAVATED ASSAULT AND/OR BATTERY Assault that involves the threat of deadly violence, and battery that causes serious injury, will both result in felonies. A misdemeanor arrest can happen to anyone. Whether it’s for a first or second DUI, disorderly conduct, reckless driving, or some other common offense, misdemeanors can quickly land an unprepared individual in jail. Once incarcerated, your thoughts will naturally turn to jail release. 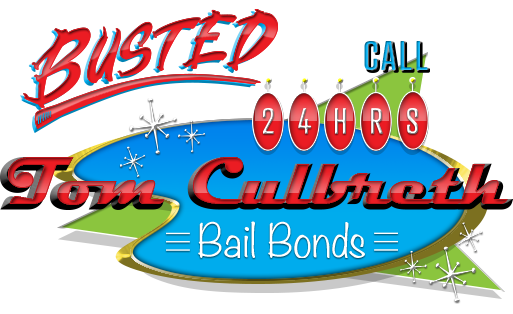 As soon as a judge or bail schedule sets the bail amount, Tom Culbreth Bail Bonds can arrange rapid discharge from any local jail facility. While a misdemeanor might not seem serious, even the least of them can carry a sentence of 60 days in jail. Probation Violations are a fairly common reason for misdemeanor imprisonment. If you cannot abide by the terms of your probation, judges will often deny bail. If this is not the case, turn to your local team at Tom Culbreth Bail Bonds for bail bonds in Cocoa and Palm Bay, FL. DUI BAIL BOND First and second DUIs generally count as misdemeanors, unless the incident involved a wreck and/or injury. PETTY THEFT Theft of goods worth less than $300 counts as a misdemeanor. Multiple arrests can elevate the charge, however. SIMPLE BATTERY AND/OR ASSAULT Simple assault occurs when someone threatens violence to another person. Simple battery is when violence actually occurs. POSSESSION OF MARIJUANA Possession of marijuana less than 20 grams counts as a misdemeanor, whereas every other drug generally nets a felony. DISORDERLY CONDUCT A misdemeanor disorderly conduct charge can occur through public intoxication, or any activity that disturbs the general peace. We currently provide service across a wide range of charges, including domestic violence, probation violations & immigration crimes. These generally occur as misdemeanors, though special stipulations can apply since no two arrests are exactly the same. To ask questions on behalf of a detained loved one, or to arrange for their quick release on bail, give Tom Culbreth Bail Bonds a call today at 321-638-2245. DOMESTIC VIOLENCE BAIL Domestic violence involves assault or battery on a current or former household member, romantic partner, or family member. PROBATION VIOLATION BAIL Someone who fails to abide by the terms of their probation will suffer arrest on charges of probation violation. At Tom Culbreth Bail Bonds, we receive a lot of questions about how bail bonds work, and what people can expect throughout the jail release process. As professionals, we strive to provide clear, honest answers to any questions. Bail bonds guarantee the appearance of the defendant in court each time he or she is required to appear. The person signing to guarantee the bond is the “Indemnitor”. The Indemnitor is financially responsible for the defendant while out on bond. Any cost or loss as a result of the defendant not appearing in court at the required times will obligate the Indemnitor to pay those costs. The Indemnitor will sign a promissory note and indemnity agreement that guarantees payment of the costs, or in the event of forfeiture, the entire bond amount. Bond fees are non-refundable and are earned once the bond has been executed and posted at the jail. The fees are a minimum of $100.00 on all bonds less than $1,000.00; and 10% on bonds over $1,000.00. While on bond, the defendant cannot leave the jurisdiction of the court without first obtaining written permission from the Surety (bondsman) and the court. The defendant cannot move from one address to another without first notifying the Surety in writing of the new address. WE ARE AVAILABLE NATIONWIDE, 24 HOURS A DAY, 7 DAYS A WEEK!